Awards and recognition received by Computers In Homes over the years. At Computers in Homes we celebrate the cultural diversity of the New Zealand communities within which we work by reflecting that diversity in our workforce. Over 50% of our employees identify as Maori or Pasifika and have been chosen from within the communities they serve in their regions. Those who do not exactly ‘match’ the broader demographics of their region have experience and training in working with diverse cultural groups. Other tau iwi represented in our national office staff include Indian and Chinese so our quarterly hui are a reflection of New Zealand society at large. In fact, many of the CIH team were originally participants in the programme as parents, tutors or technicians before choosing to give back to their communities through this work. 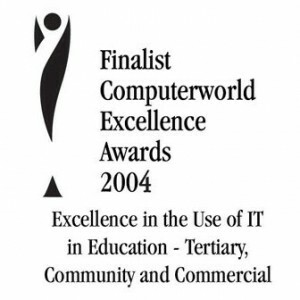 The Computers in Homes team was recognised as one of three finalists for the inaugural IT Education Award at a gala event held in Auckland on Friday 10 October. The Award was won by Dr Tim Bell from the University of Canterbury for his work in supporting the development of Computer Science curricula and supporting professional development for teachers. Tim also won the IITP President’s Award for Contribution to the IT Profession. 100 nominations were received for the Awards across nine categories with a total of 24 finalists being selected. 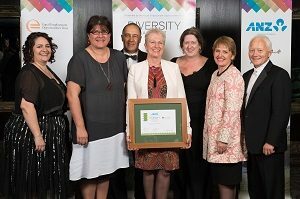 The 20/20 Trust won this Australia and New Zealand Internet Award (ANZIA) for the DORA digital bus, our mobile classroom built for Computers in Homes and Stepping UP training in Christchurch. The judges said DORA and the work of the 20/20 Trust stood so far ahead of other entrants that they did not award a ‘highly commended’ in this category. 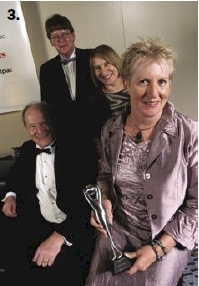 Read the press release or visit the ANZIA 2012 Winners page here. 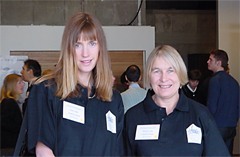 The September 2010 issue of the HRC Newsletter and certificate acknowledged the 20/20 Trust Computers in Homes programme and 100,000 Challenge’s positive contributions to diversity and race relations in New Zealand. View the Human Rights Commission Certificate here. The Trust also participated in 2014, 2013, 2012 and 2011. To the CIH Project for providing computers to Burmese refugee families. The Computers in Homes project aims to support low income communities to use computer technology to strengthen their education. The project works via low decile schools to help families in greatest need to use the Internet, e-mail and basic computer skills in their daily lives to enhance their performance at school and at work. Training for parents is provided at their children’s school. Once training is completed, a refurbished computer is provided for the family. Recently 16 Porirua-based Burmese refugee families completed the eight week computer course. All of the refugees had arrived in NZ within the last six months, and none owned a car, so a bus was chartered to ensure the computers and families (30 adults and 20 children) arrived safely at their homes. 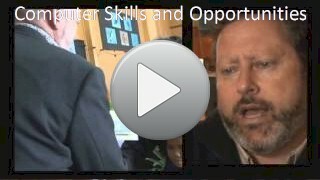 The computer skills they have gained, coupled with the computers they have been gifted, will enable them to integrate into NZ, as well as to maintain links with their extended families in Myanmar. 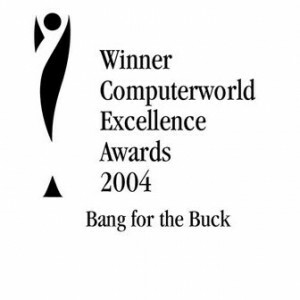 In 2003 Computers in Homes was a Finalist in the Computerworld Excellence Awards. In 2004 we were a Finalist again, and this time we also won the ‘Bang for Buck’ Award, in recognition of the amazing success of CiH despite a minimal budget. “This scheme provides opportunities for low-income families to access IT previously unavailable to them and focuses on IT as an effective educational tool. The original focus was to train parents on how to support their children with homework however it has produced the added benefit of renewed enthusiasm from parents who, after attending the training course and using the internet, have pursued education with new confidence. The Computers in Homes project was one of 3 winners in the education section of the prestigious Stockholm Challenge Award 2001, announced today in Stockholm. Computers in Homes, along with a project from Laos and one from the United States, was selected from among 23 finalists. Read more about the CiH Stockholm Challenge 2001 Award. View more on the Stockholm Challenge Awards.